Frances Bean Cobain and Courtney Love put on a united front at the Sundance premiere of Kurt Cobain: Montage of Heck, a new documentary executive produced by Frances. But, sheesh, what a trying process the creation of the film must have been for 22-year-old Frances — especially as she watched her mother finally confess to the long-rumored heroin use during pregnancy. Courtney’s told a number of differing stories about her heroin use during her pregnancy in the past, even downright denying that she used while pregnant in some interviews. However, she seemed ready to open up for the documentary, which she supported from the beginning. The filmmaking period also seems to have been a healing time for Frances and Courtney, who have been largely estranged since Courtney lost legal control of then-teenage Frances in 2009. At that time, Frances said in a sworn testimony (via The Fix) that her mom had “taken drugs for as long as I can remember,” she constantly lived in fear her mom would burn their house down by falling asleep while smoking and Courtney’s actions lead to the deaths of two of Frances’ pets… And that’s just scratching the surface. Clearly, Frances has an incredibly capacity for forgiveness. 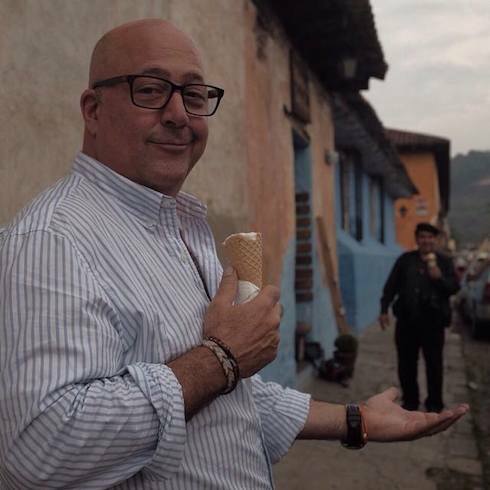 Was celebrity chef Andrew Zimmern a drug addict?